Tara Perkins, with The Globe and Mail, published the following article regarding the strength of the Toronto condo market. “Neither weather nor worry is putting a chill on condominium construction. Developers began building a surprisingly high number of condo units in February, despite freezing temperatures. 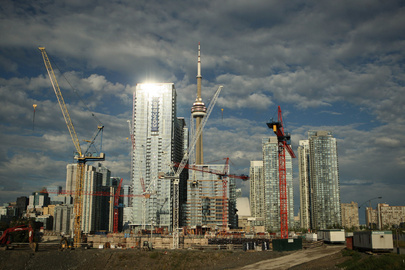 Construction of multiple units in cities rose this past month by more than 13 per cent to almost 116,500, CMHC said, while starts fell by 2.4 per cent in the single-detached category.